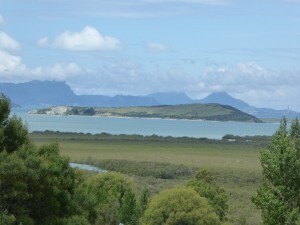 I have often looked out on Matakohe Limestone Island in Whangarei Harbour and thought I would love to go there. I had heard of the replanting work which began in 1990 when it was made a scenic reserve and the re-introduction of kiwi, lizards and other birds which now thrive in this predator free world. 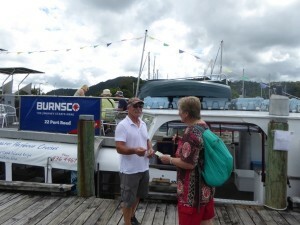 Just off Onerahi, a harbourside suburb of Whangarei, New Zealand’s northernmost city, you can take your own boat, or kayak or join the friends of Limestone Island, but I think the best way to do it is hop on the MV Waipapa at the Whangarei Town Basin. Before we boarded we enjoyed a browse in the galleries and a coffee at the Town Basin before owner and Captain Tony Gamley welcomed us on the boat for our 11am start. 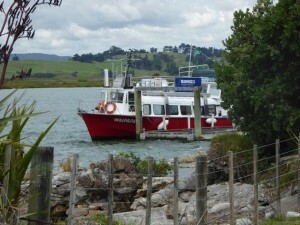 A leisurely hour long trip took us down the harbour – past the Whangarei Town Basin, the marinas, the Port and shipbuilding yards, past Onerahi and out to Matakohe Limestone Island. 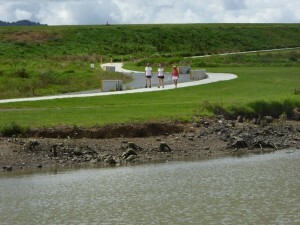 – you see a completely other perspective, and this is a great way to do it in Whangarei. Hire a bike and do the Hatea Loop – you can book on line or at the Isite and he will bring bikes down to meet you. Time enough to do that after the boat trip. 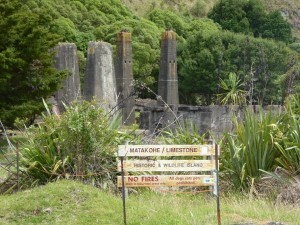 At the Matakohe Limestone Island we have one and a quarter hours – enough to do a circuit of the island, to climb to the Pa site at the top, or to potter around the remains of the historic cement works, and read the storyboards of the early history of this island. 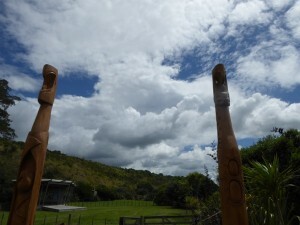 Early Maori settlement was a prominent part of the story, The name Matakohe was given to the island by local Maori in reference to its appearance as a headland when viewed from down the harbour- “Mata”- that was cloaked in kohekohe trees, hence “kohe”. Te Parawhau tribe have been the kaitiaki or traditional guardians of this area and with the Friends of Matakohe Island have been active in restoring the native habitat, introducing kiwi and lizards and other wildlife that now thrive in this best free environment. 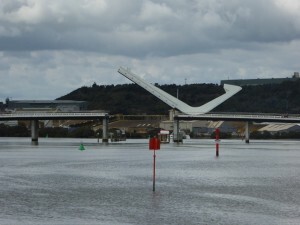 The trip runs every Sunday at 11am, or other times by arrangement and is only $30pp. The hour long trip back up the river to the Whangarei Town Basin is relaxing and a great way to end the day.